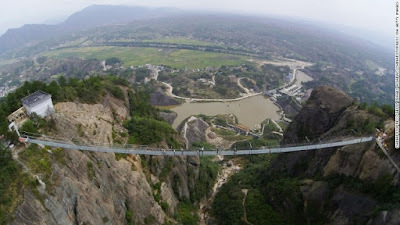 Home Article China Hunan You will be very scared when walk across the world longest glass-bottom bridge! 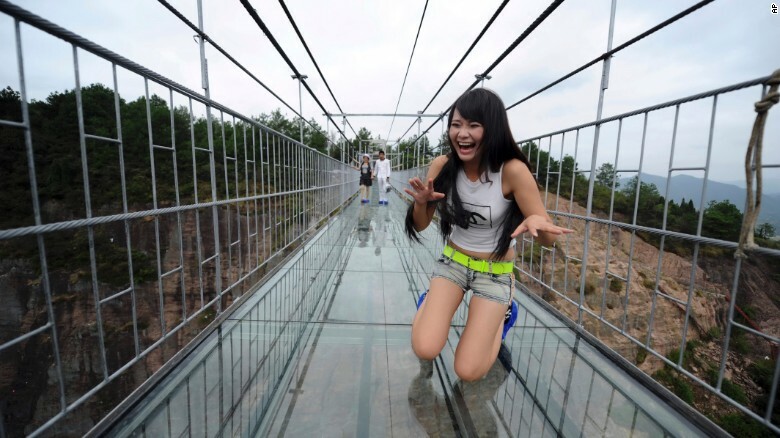 You will be very scared when walk across the world longest glass-bottom bridge! China's first glass-bottomed suspension bridge is now open. Haohan Qiao, as it's known in Chinese, is the latest in a series of glass-floored attractions to open in China and the rest of the world. The nearly 600-foot-high, 900-foot-long bridge is located in the Zhangjijajie National Geological Park in Hunan province and it just recently opened to the public. Each of the glass panes is 24 millimeters thick and 25 times stronger than normal glass. Despite of it's heavy duty construction, it is a thrill to walk across it. Watch a few brave souls make the trip across in the video found on YouTube above. It was originally a wooden bridge before the park experimented by replacing a small section with glass in 2014. The result was a lot of thrill for those who tried it out. Now the bridge has made it to the popular list on YouTube too. 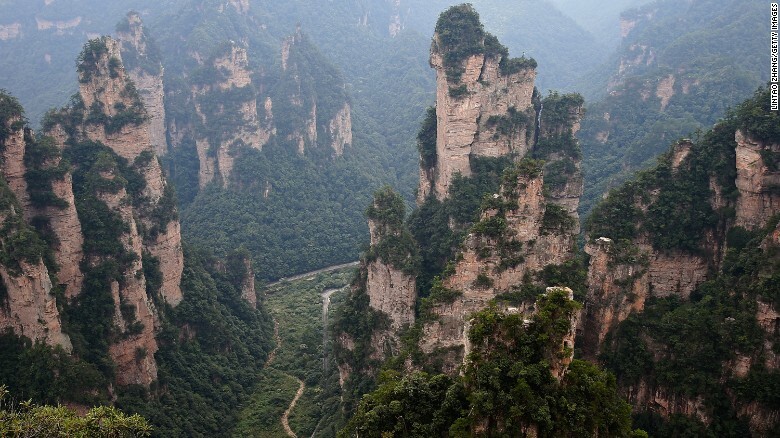 It is an reactivated attraction for the Pingjian County.